Nestled in the farming community of Bells Bend, where sustainable and organic practices abound. Whooping Crane Farm-Stay accommodates 2 to 6 guests, with its 3 bedrooms and 1.5 baths. 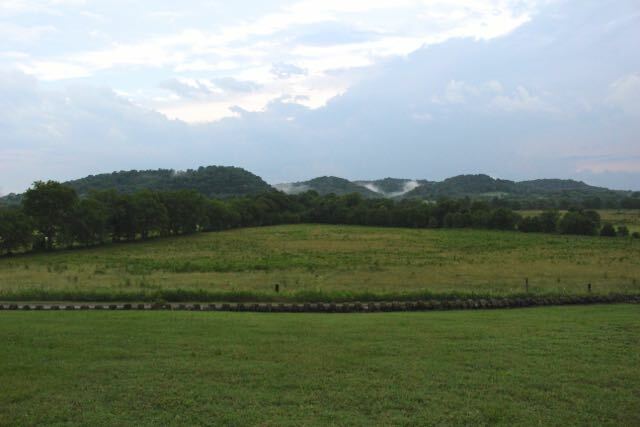 The home over-looks 115 spacious acres above the Cumberland River. Whooping Crane Farm is the perfect place to host your wedding, dinner party or special event. Your stay includes the option of farm fresh breakfast, snacks or picnic, a take-home curated guide to Nashville's best retail, shows, restaurants, parks and recreation, a Local Farm Tour and Seasonal Gift Bag featuring our favorite goods. Originally built as a "dog run" style home in the late 1800's, Whooping Crane Farm, in the 1940s known as the West Family Farm, served as the home of Lucy Southgate Betty West and George Christian West and their children: Georgianna Lucy, and George. Beginning in the 1930's the farm had a working dairy farm, crop production and a sawmill on its 200 acres. Mornings spent on the porch gazing over the grazing cattle, smelling Nonnie's (Lucy West) begonias on the stoop. The simplicity of living at Whooping Crane farm has been carried on though generations. Whooping Crane Farm is currently preserved under the Land Trust for Tennessee to protect its history for many years to come. Whooping Crane's beloved dairy barn at morning's sunrise. Bells Bend, is an 18-square mile area encompassed by a U-shaped bend in the Cumberland River. Numerous archaeological sites indicate that the area has been inhabited for at least 10,000 years. Bells Bend has thrived as an agricultural community since the early 19th century. Land owners in the bend included Montgomery Bell and David Lipscomb. The Clees family operated a mill and ferry service beginning in the 1870s which ceased operation in 1990. Bells Bend is currently home to many farms supporting the local food movement in metropolitan Nashville and its restaurants. It also offers a rural escape for abundant wildlife, including the kingfisher and whooping crane. The community supports young farmers and nature lovers alike, keeping the final acres of metropolitan Nashville rural. The Farm is available to book for Weddings, Workshops, Dinners and Parties with an incredible overlook of 80+ acres and the Cumberland River. We'll be embracing the slow-living movement, offering workshops to support our local agriculture and to learn the art of slow living from natural dye classes to weaving to canning and jam making. Take a look at our Events page to join us! Interested in hosting or collaborating for an event? Visit the Reservations page and fill out your info in the contact us area. Look for upcoming articles and updates. Interested in featuring Whooping Crane Farm?